Washington D.C : Winter. Spring. Summer. Fall. Which season were you born in? 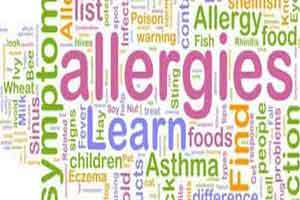 As it turns out, the season in which a child is born can determine whether or not they are more likely to suffer from an allergy in later life. The study conducted epigenetic scanning on DNA samples from a group of people born on the Isle of Wight. They found that particular epigenetic marks (specifically, DNA methylation) were associated with season of birth and still present 18 years later. The research team was also able to link these birth season epigenetic marks to allergic disease, for example people born in autumn had an increased risk of eczema compared to those born in spring. The results were validated in a cohort of Dutch children. The team said that further research is needed to understand what it is about the different seasons of the year that leads to altered disease risk, and whether specific differences in the seasons including temperature, sunlight levels and diets play a part. More study is also needed on the relationship between DNA methylation and allergic disease, and whether other environmental exposures also alter the epigenome, with potential disease implications.